The Corn Islands, along with the eastern half of present-day Nicaragua, were a British protectorate from 1655 until 1860, a period when the region was called the Mosquito Coast. At one time, the islands were frequented by Caribbean pirates. 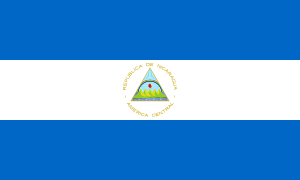 The Nicaraguan government annexed the region in 1894. Under the Bryan–Chamorro Treaty of 1914, the islands were leased to the United States for a period of 99 years. The terms of the lease made the Corn Islands subject to the sovereignty of the United States. The lease notwithstanding, the United States never maintained a significant presence in the islands. The right of the United States to use of the islands remained until April 25, 1971, when the lease was officially terminated by the denunciation of the Bryan-Chamorro Treaty on July 14, 1970, under the presidency of Anastasio Somoza Debayle. The Corn Islands consist of the Big Corn Island (Isla Grande del Maíz; often simply referred to as Corn Island; Isla del Maíz), with an area of 10 square kilometres (3.9 sq mi), and Little Corn Island (Isla Pequeña del Maíz), with an area of 2.9 square kilometres (1.1 sq mi). The total area is 12.9 square kilometres (5.0 sq mi). Mount Pleasant Hill in the north of Big Corn Island, is the highest elevation of the islands, at 113 metres (371 ft). Little Corn Island reaches a height of 38 metres (125 ft) at Lookout Point in the northern part of the island. According to Köppen climate classification, Bluefields features a tropical rainforest climate (Köppen Af). There is a drier period from February to April, but the trade winds ensure that unlike the Pacific coast of Nicaragua, rain still falls frequently during this period. For the rest of the year when tropical low pressure dominates rainfall is extremely heavy, helped by the coast being shaped in such a manner as to intercept winds from the south as prevail during the northern summer. The population of the islands numbered 6,626 as of 2005 (census of population, May 28 to June 11, 2005). As of early 2009, local authorities estimate the population of Big Corn Island to be 6,200, and that of Little Corn Island to be 1,200. Distribution of tourists is estimated to be roughly 25% at Big Corn Island and 75% at Little Corn Island. The islanders are Afro-descendant, English-speaking Creole people mixed with indigenous. Big Corn Island has a paved road about 12 kilometres (7.5 mi) long which runs the length of the island. Automobiles, motorbikes and bicycles are the primary means of transport on the island. Most cars are used as taxis and cost 18 Cordobas for each ride of an adult person. The only other public transportation option is the bus that circles the island clockwise and costs 10 cordobas. Little Corn Island is accessible by fast boats, usually three or four times per day depending weather from Big Corn Island and by a small cargo ship from the port at Southwest Bay on Big Corn Island (World Port Index No. 9775). Little Corn Island has no motor vehicles. Due to its small size, all transport on the island is done on foot. The Corn Islands are about 70 kilometres (43 mi) away from Bluefields. Corn Island Airport in the city of Brig Bay is served by La Costeña airlines from Bluefields and Managua. Big Corn Island can be reached by a cargo ships that departs two or three times per week from El Rama through Escondido River with its mouth at Bluefields. This ships usually do not have much passenger room and the trip may last 12 hours. From Bluefields passengers may also use a once-a-week government ferry, a trip of around 5 hours. Throughout most of the 20th century the economy revolved around coconut production. During the 1960s and 1970s, commercial fishing as well as lobster and shrimp fishing, became the main industry. The recent growth in tourism throughout the region, however, has also affected the islands. Tourism on the islands has grown considerably, with their many surrounding coral reefs making them a popular destination for scuba diving and snorkeling. Barracudas, nurse sharks, hammerhead sharks, green sea turtles, and spotted eagle rays are some of the marine life that can be seen around the islands. ↑ "Formerly Disputed islands". Office of Insular Affairs, U.S. Department of the Interior. Retrieved 2015-06-09. ↑ "Climatological Normals of Bluefields, Nicaragua". Hong Kong Observatory. Retrieved 2012-03-13. ↑ "POBLACION VOLUMEN" (PDF). Retrieved 18 July 2014. Wikimedia Commons has media related to Corn Islands. Wikivoyage has a travel guide for Big Corn Island. Wikivoyage has a travel guide for Little Corn Island.